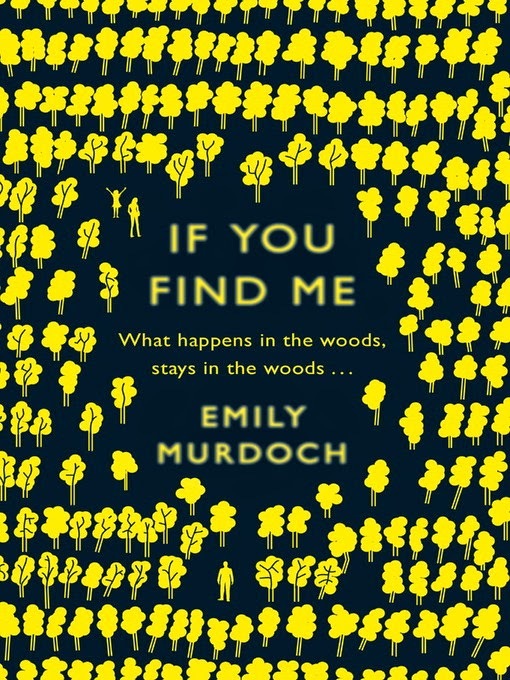 Today I am reviewing 'If You Find Me' by Emily Murdoch. Before I start with the review I would like to mention the fact that the synopsis for this book is awful and doesn't reflect the book at all but I think it is best to go int this book not knowing much about it. I had to read this book for my school book club and I really wasn't looking forward to it. So I forced myself to pick it think that the sooner I finish it the better because I am not showing up not having read the book. But I was actually really surprised by how much I liked this book. First of all I love the topic of this book. It is a topic I find quite interesting though I can see it being a hard read for some people as it deals with drug addiction, adoption and a bit of bullying. I would love to go into detail about the plot but I can't as it would give to much away but what I can sat is that the plot twist is so unexpected. From the beginning you know there is going to be a plot twist but I never expected the one we got. The book is told from Carey's perspective, which is great because Carey is a great, realistic character though at points a bit unreliable because she can't remember a lot of things before the woods. I love Carey's little sister Jenessa, she was just so cute and adorable. I just wanted to pull her out the book and carry her in my pocket (I have just realised how odd that saying is. Doesn't it sound a bit stalker-ish. Anyway). I liked the romance in the novel. I thought it was done really well as it was the kind of relationship you have at that age. It wasn't deadly serious yet was still cute. One thing I wasn't to keen on was the random phrases from 'the lady of shallot' in the end i just skipped them because it didn't add anything to the book, if anything it just broke the flow of the writing. I give this book a 4/5 because it wasn't perfect there were a couple of minor plot holes and I found a part of the epilogue a bit unrealistic. I was pleasantly surprised by this book though I wouldn't recommend it to everyone as it is quite intense a points.